Chromeboxes in the Clapp Reference Room: In summer 2014, the 16 public Windows computers in the Clapp Library Reference Room were replaced with Chromeboxes. Several years of usage data showed that students use these computers primarily for web browsing, PDF viewing, word processing, and printing, all functions that are quick and easy to do with Chromeboxes. With the widespread adoption of Google Apps for Education at Wellesley and the launch of a free Office 365 subscription for students, moving to Chromeboxes was an attractive and inexpensive option in this space. Circulating Chromebooks: Many students borrow Mac or Windows laptops from LTS while their personal computers are in repair; this collection is wildly popular and often booked to capacity. By adding 50 circulating Chromebooks to the collection, we provided computer access for more students. Students can typically borrow a Chromebook at the moment of need, and then make a reservation for either a Mac or Windows laptop, if needed, to perform more advanced computing functions. Chromebooks in the classroom: Research and instruction librarians and instructional technologists have experimented with bringing Chromebooks with them to classrooms for library instruction sessions. 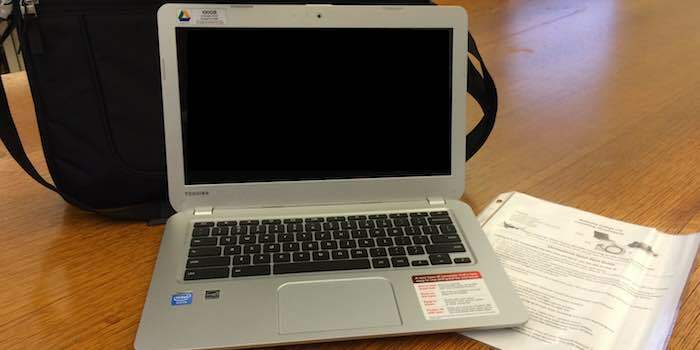 For example, research and instruction librarian Sarah Barbrow brought 10 Chromebooks to SOC 246: U.S. Immigration during the Fall 2014 semester. The 20 students worked in pairs to get hands-on experience using two web-based demographic tools. Using Chromebooks in the classroom allowed students to do meaningful, hands-on work with RIS staff outside of the library's computer classrooms.